On the IU Bloomington campus, we aim to make every student a fierce and informed advocate for the arts and humanities for life. 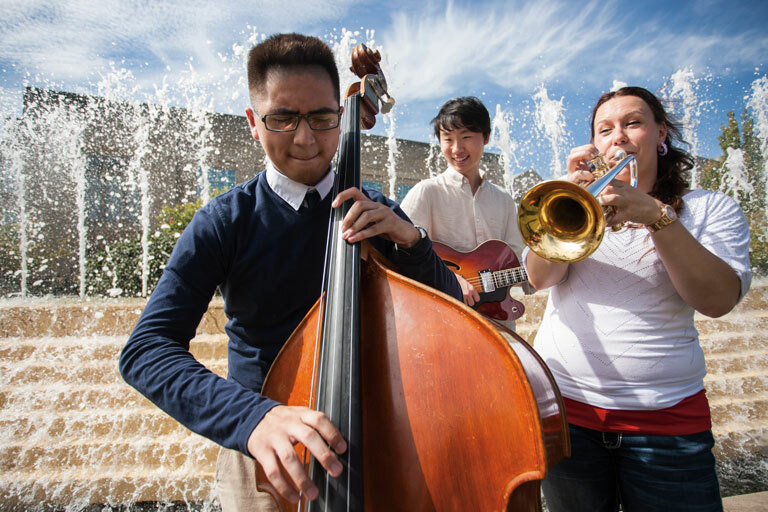 By supporting the Arts & Humanities at IU Bloomington, you help us celebrate the human experience in all its diversity, complexity, and nuance, and strengthen the bonds of community that connect us all. No matter what form your passion for the arts and humanities takes, there’s a place, performance, or collection for you at IU Bloomington. 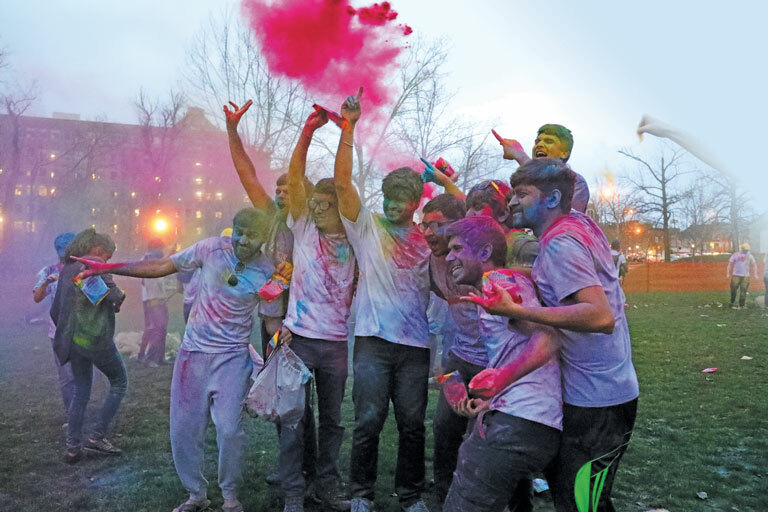 IU students participate in Holi, a festival celebrating the arrival of spring, as part of the Arts & Humanities at IU Bloomington’s India Remixed programming. 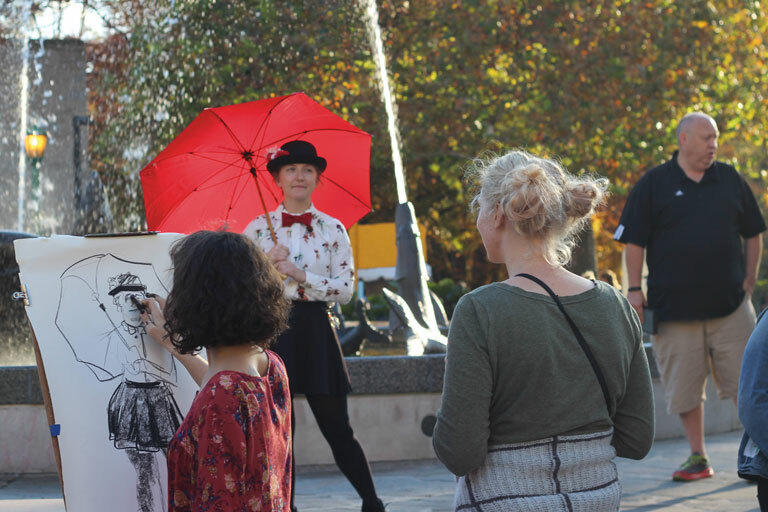 The IU Bloomington Arts & Humanities Council calls together creative people across campus, throughout the state, and around the world to share in the transformative power of the arts and humanities. 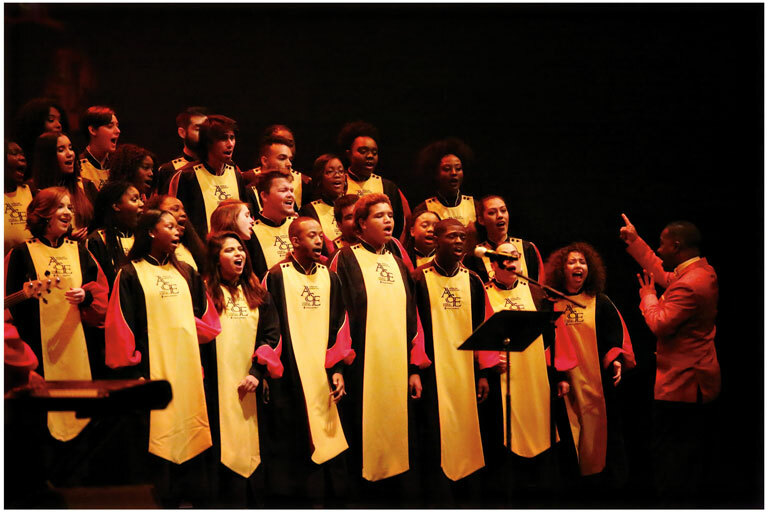 As part of the African American Arts Institute, students sing in the African American Choral Ensemble, one of three performance groups celebrating music and dance created by, for, and about African Americans. 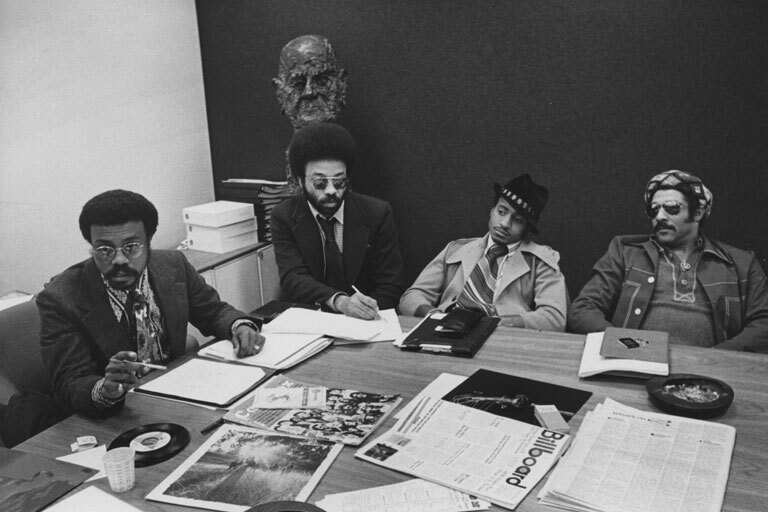 Logan Westbrooks with CBS Records Black Music Marketing Division staff, part of the Archives of African American Music and Culture’s Logan Westbrooks Collection. 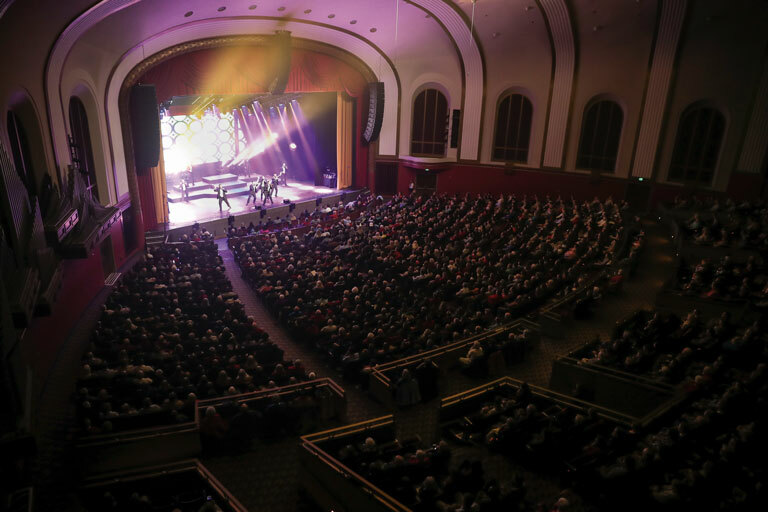 IU’s own Straight No Chaser performs annually in front of a full house at IU Auditorium. 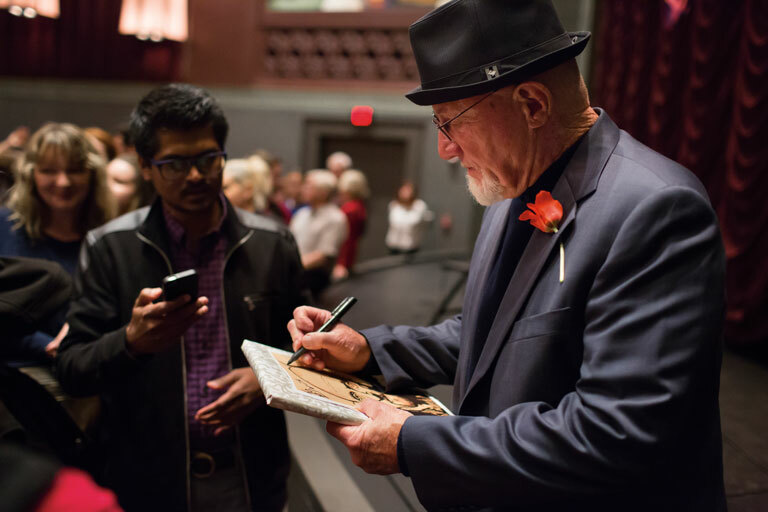 Actor Jonathan Banks with a fan during a recent talk at the IU Cinema. The I.M. 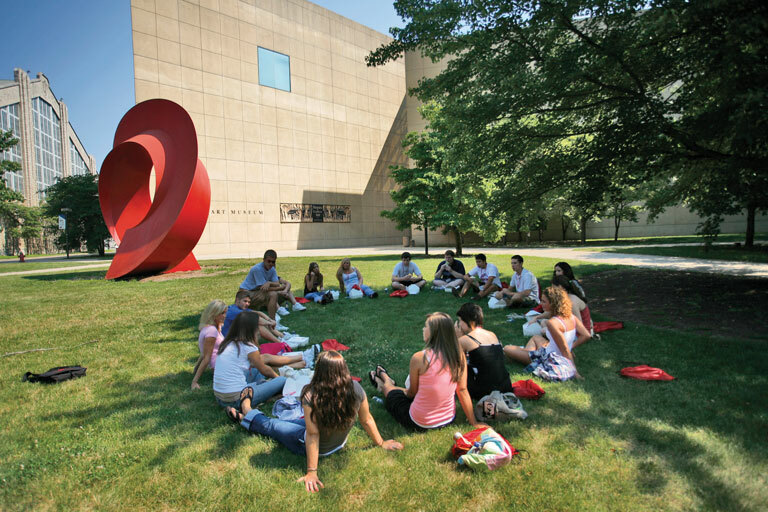 Pei-designed Eskenazi Museum of Art building is a favorite spot for prospective students on campus tours to gather for lunch—not to mention home to an internationally acclaimed collection of art ranging from African masks to Monets, Pollocks, and Picassos. Jacobs School of Music students have more than 1,100 performance opportunities to choose from each year. 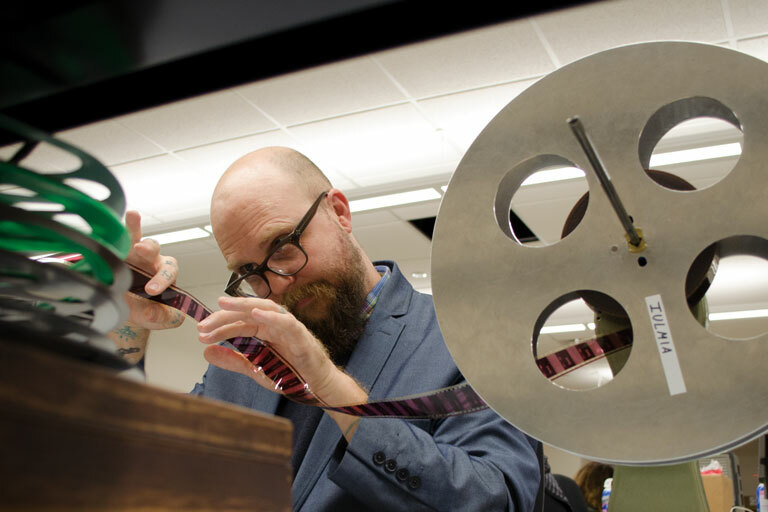 Inside IU Libraries’ Moving Image Archives, film preservationists work with one of the largest film collections at any university, actively rescuing our moving image history through a nationally recognized digitization initiative. 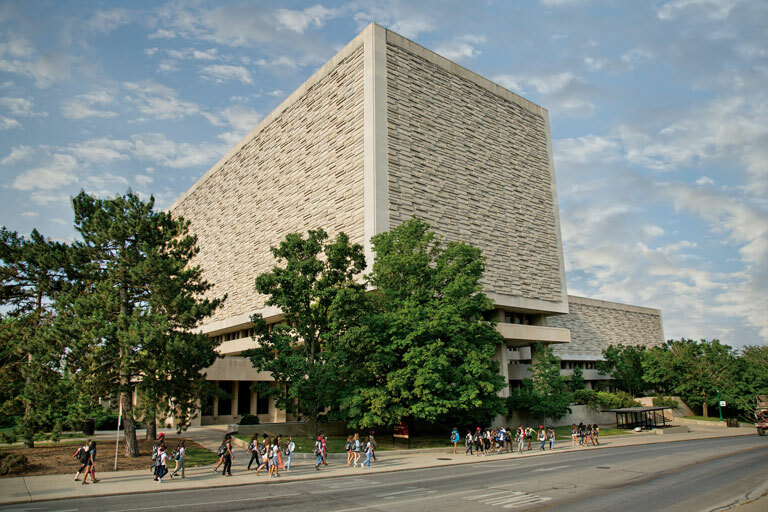 The Herman B Wells Library hosts over two million visitors each year. 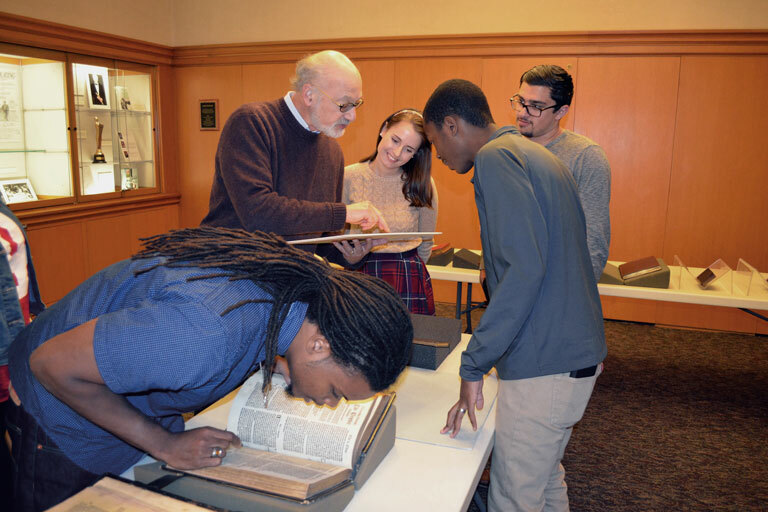 The world-renowned collections at the Lilly Library are open to anyone, regardless of address, academic status, or affiliation. This piece of folk art is part of the Traditional Arts Indiana collection at the Mathers Museum of World Cultures. 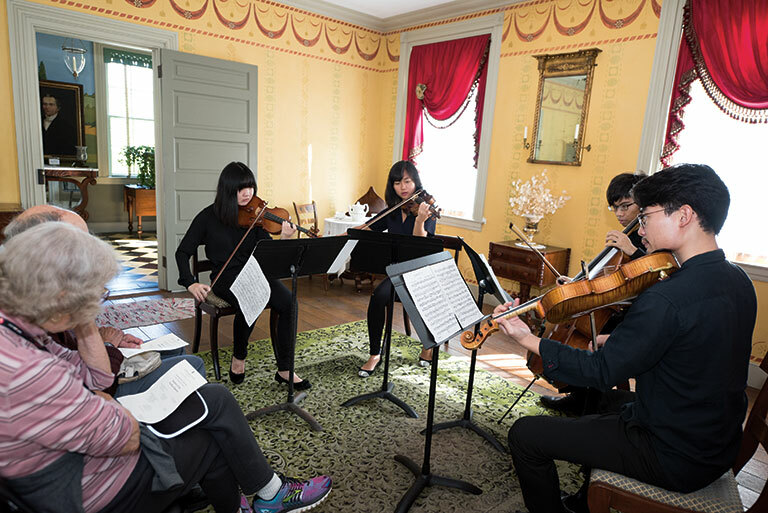 From archaeological digs to the parlor concert pictured here, the Wylie House Museum hosts a range of programming for IU students and the Bloomington community. 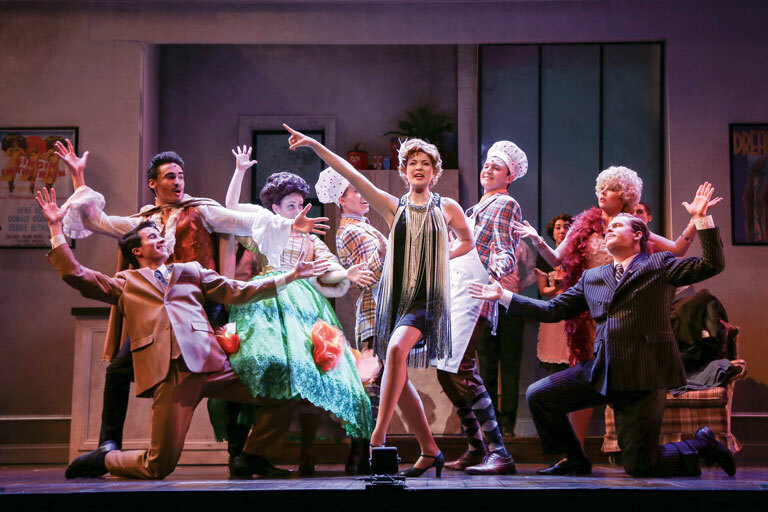 The IU Department of Theatre, Drama, and Contemporary Dance stages 12 high-quality productions each year, ranging from City of Angels to The Tempest. 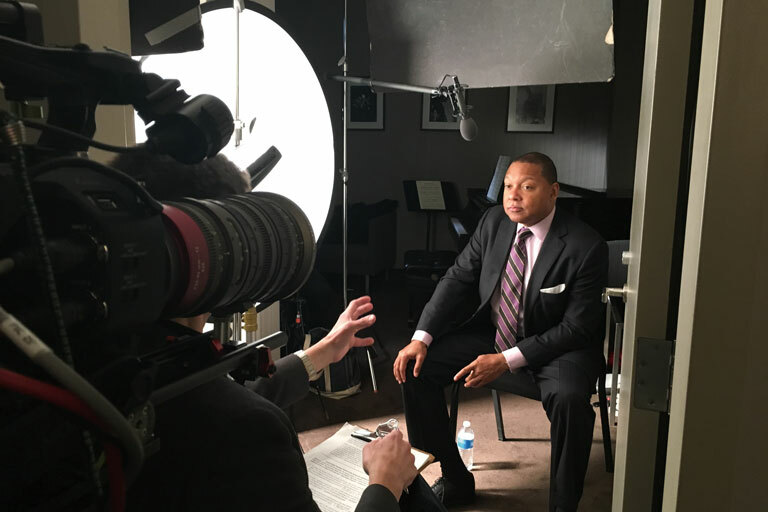 WTIU Public Television Producer Todd Gould interviews Wynton Marsalis for an upcoming documentary on the story of Gennett Records of Richmond, Indiana. 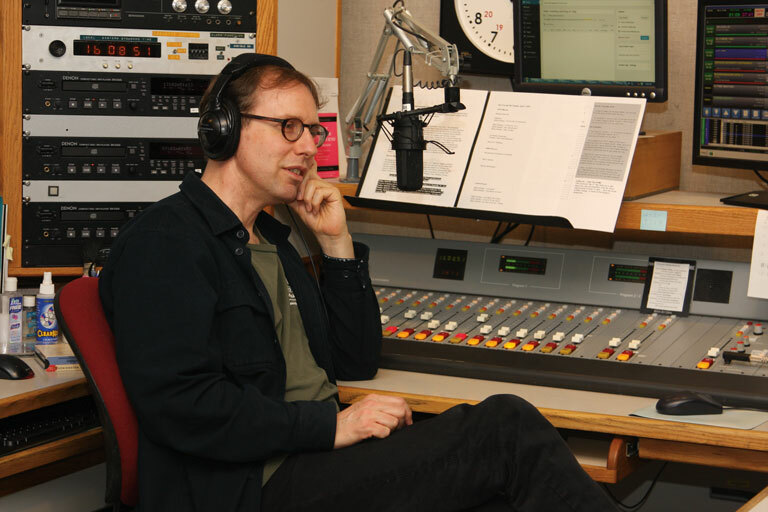 WFIU Public Radio’s jazz host, David Brent Johnson, during an interview. 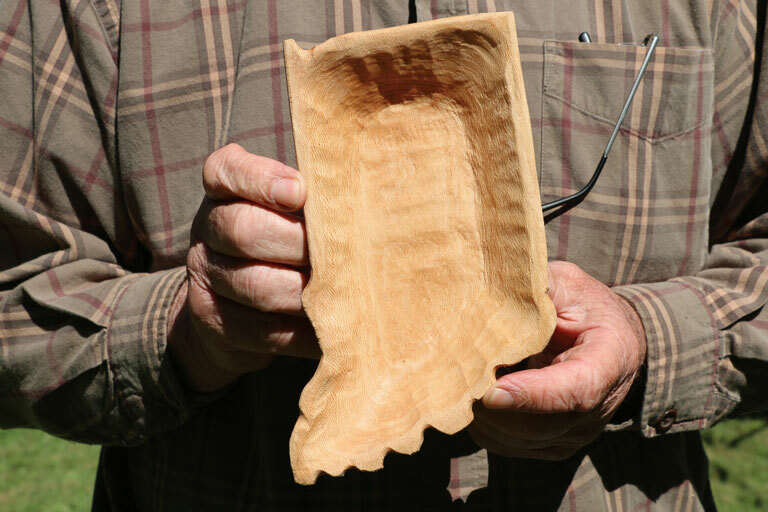 For help with event tickets, parking, or tours, contact iuah@indiana.edu or 812-855-9262.